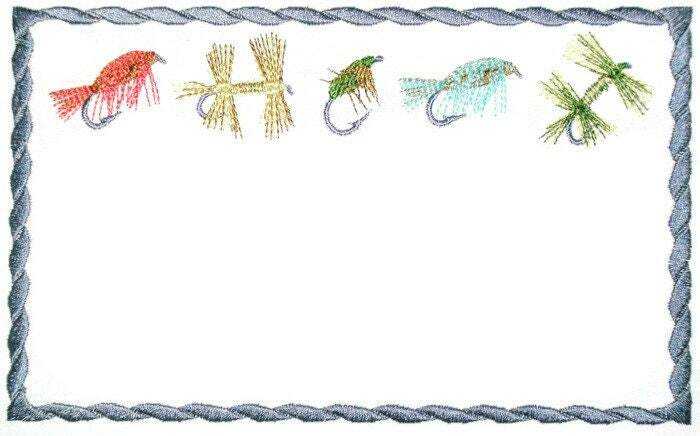 Fishing flies- fish hooks embroidered quilt label. Great for an avid fisherman. Measures 18cm x 11.5cm (7.25" x 4.5").